USB Drives works best when it comes to storing images, documents, videos, audio, and other essential data items. However, some physical and logical factors lead USB Drives to corruption and make them inaccessible. USB data recovery software is an automatic software that allows to recover corrupted USB files quickly even without resulting any kind of data loss. Formatted Scan: If you formatted your USB drive then, select this option. 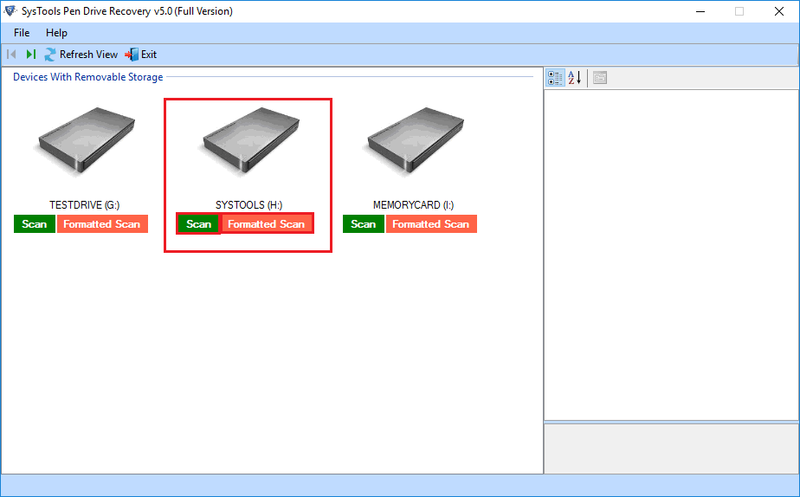 Tool is capable enough to recover entire data of USB Drive either it is deleted normally or using Shift+Delete. 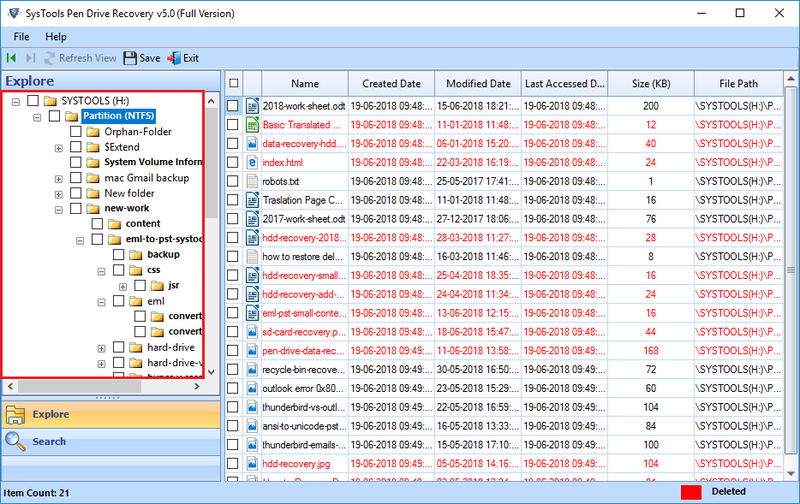 The USB deleted data recovery tool performs recovery of entire data stored within the USB Drive and lists all the recovered data items after scanning the USB Flash Drive. In order to avoid confusion, the USB data recovery software highlights permanently deleted data in red color. Sometimes users format their USB Drives to get rid of viruses or bugs and in some other cases, USB Drives gets formatted unintentionally. In such conditions, USB Data Recovery Tool is recommended to retrieve formatted images, PPT, PDF, and other data items of USB Drive regardless of their file size. 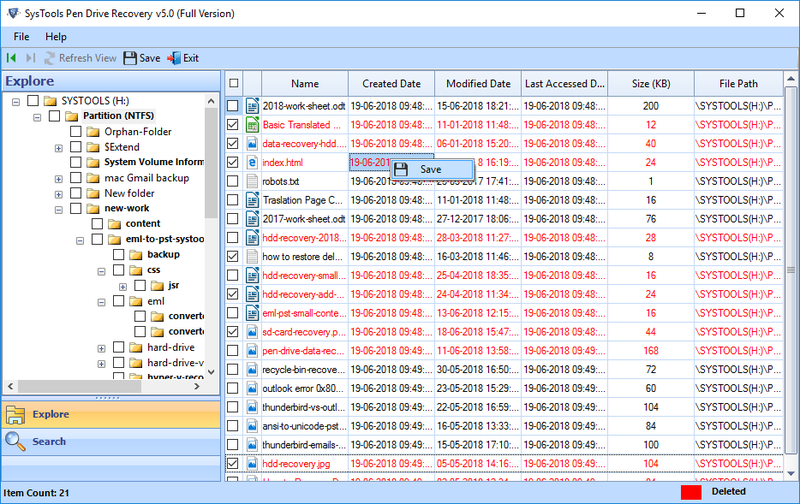 USB file recovery tool provides a powerful search feature to get the selected data file from recovered data items. This is the best features offered by USB data recovery software that makes it unique from the other third-party tools available for the same. 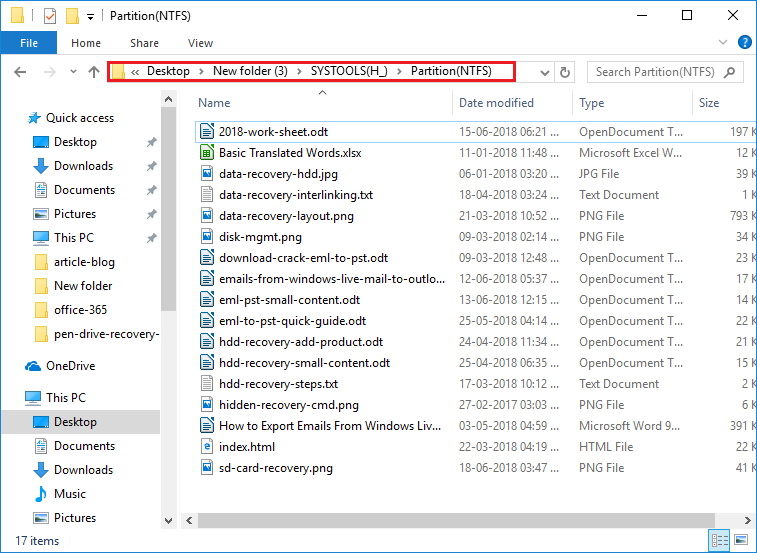 Using this option, one can extract the required files only from the list of recovered data items. 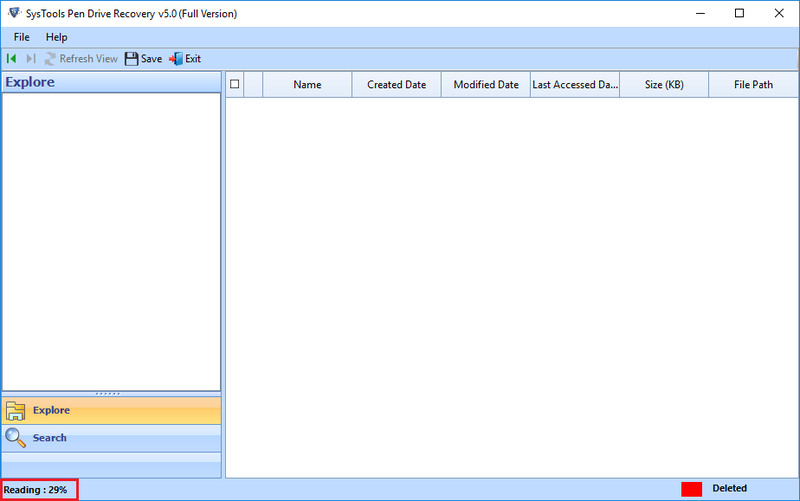 The USB data recovery software allows to recover and export data from FAT, exFAT, and NTFS formatted USB Flash Drives. 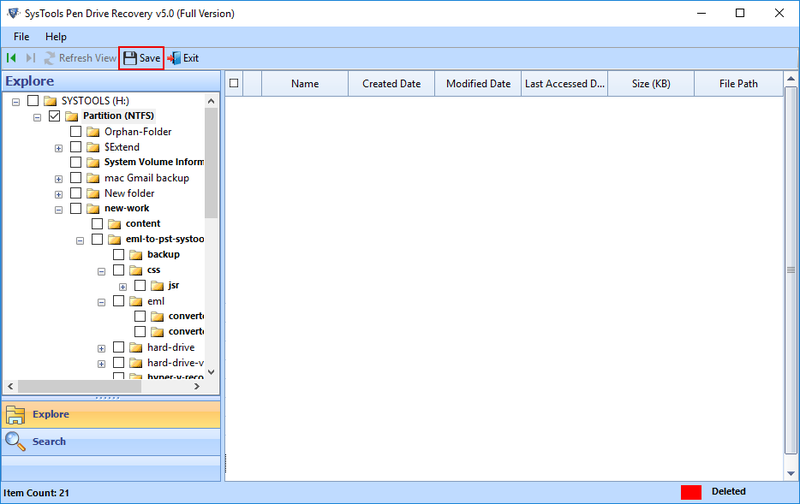 One can use USB file recovery tool to recover data from any file system formatted USB Drives. The software recovers all the data items either they are corrupted, formatted, deleted or lost from the USB Drive. Once after plugging the USB Flash Drive to the computer, the USB file recovery software detects it automatically and displays all its basic attributes in the right software pane. After this, when the USB Drive scanning process begins the USB data recovery tool displays current progress report of on-going USB Drive scanning and displays it in the terms of percentage. Once the USB Drive installation on computer has done properly, USB file recovery tool automatically detects all USB Drives connected to the system. 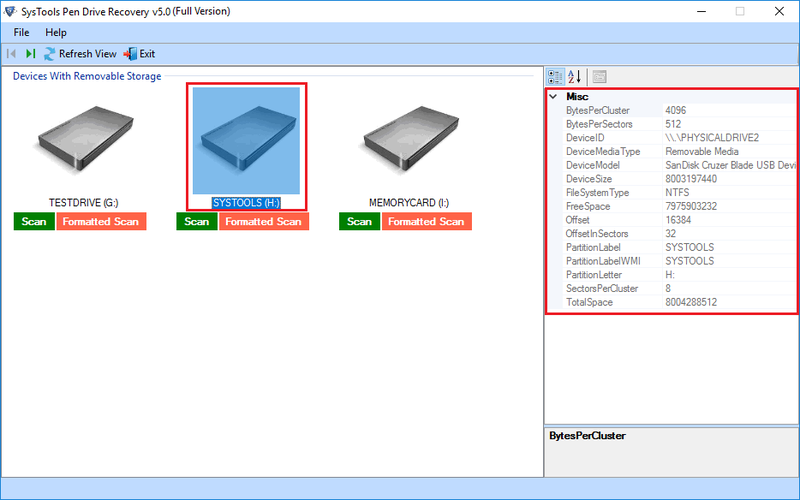 In case if the USB Drive is connected after launching the USB data recovery software, one can use its ‘Refresh View’ option to detect the newly connected USB Drive. After that, one can scan the detected USB Drive accordingly. The USB data recovery tool is an advanced utility that allows to export only the selected files/ folders from the entire recovered data. Also, in some cases, users might need to export the entire recovered data of USB Flash Drive and this also can be done using this USB data recovery software as it allows to export all items after recovery. How to recover some selected data items only from my USB Flash Drive? 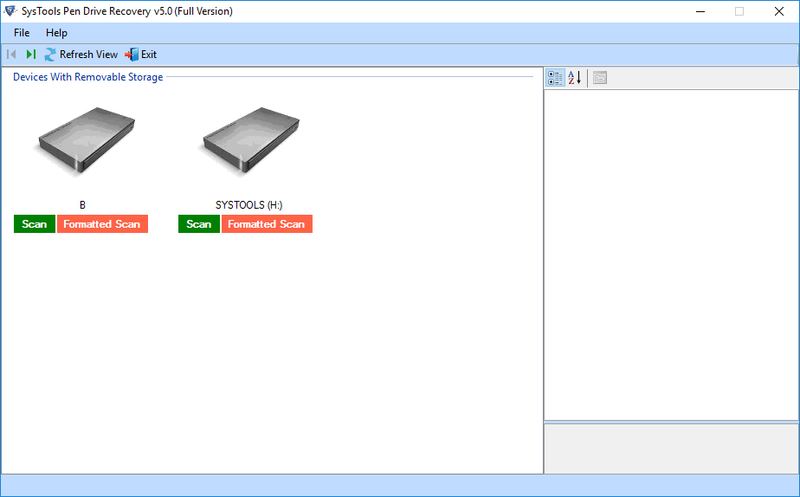 What is the maximum size of data that can be recovered using this USB Drive data Recovery Tool? The USB data recovery software can be utilized to recover and restore any size of data from the USB Flash Drive. There is no such file size limitation imposed by the USB file recovery software to recover data from USB Drive. Is it possible to recover data from NTFS file system formatted USB Drive? 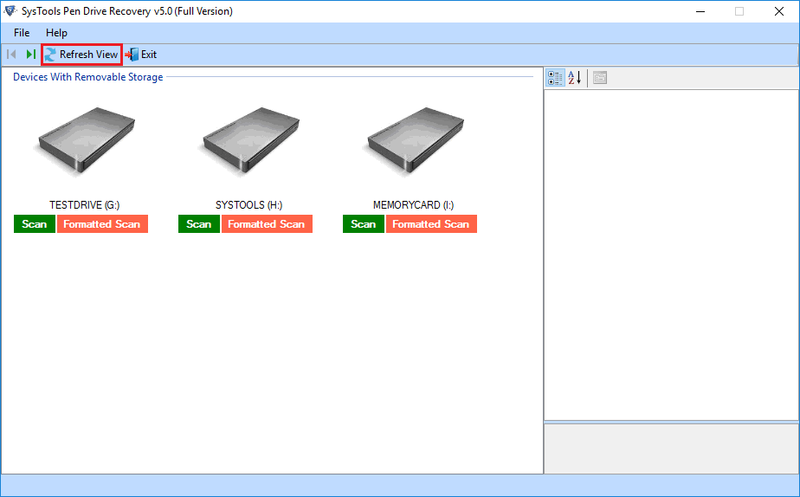 Yes, the USB Data Recovery Tool allows to recover data from NTFS, FAT as well as exFAT formatted USB Drive in a few simple clicks. I am not so technically savvy. Can I use USB drive data recovery tool to recover lost data from my USB Drive? The USB data recovery software is designed in such a manner that all the technical and non-technical users can operate it without so much technical expertise. Can I use this USB Data Recovery Tool to recover data from an undetectable USB Drive? No, the USB drive data recovery software cannot recover data from an inaccessible or undetectable USB Flash Drive. First, you need to make the USB Drive detectable and then, you can use this software to perform the recovery of lost data items. This USB Drive data recovery software is compatible with Windows 10? 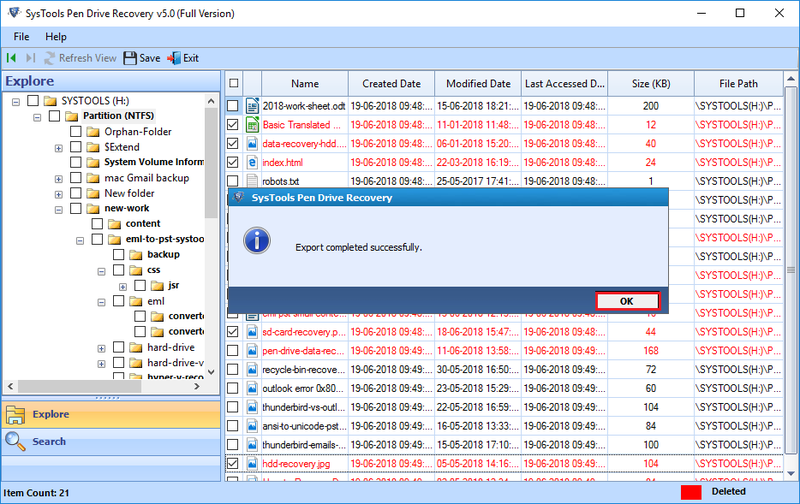 Yes, you can use this USB Drive File recovery software on Window 10, 8, 7 & below version to recovery formatted, deleted and corrupted data from USB pen Drive.